Filled with intricate illustrations and elaborate designs used in the making of the HARRY POTTER™ films! This book invites you to imbue the Wizarding World with color in your own explorations of Hogwarts Castle, the Forbidden Forest, and much more. Also includes sixteen pages of full-color art from the movies to inspire you as you draw. House-elves and merpeople, Cornish pixies and dragons—the Wizarding World is populated by an unforgettable cast of magical beings and extraordinary beasts. Relive favorite scenes like Harry, Ron, and Hermione's escape from Gringotts on the back of a dragon and explore intricate creature-themed patterns in this interactive journey through the Wizarding World! Explore the many places and characters of the HARRY POTTER™ films through the magic of color. 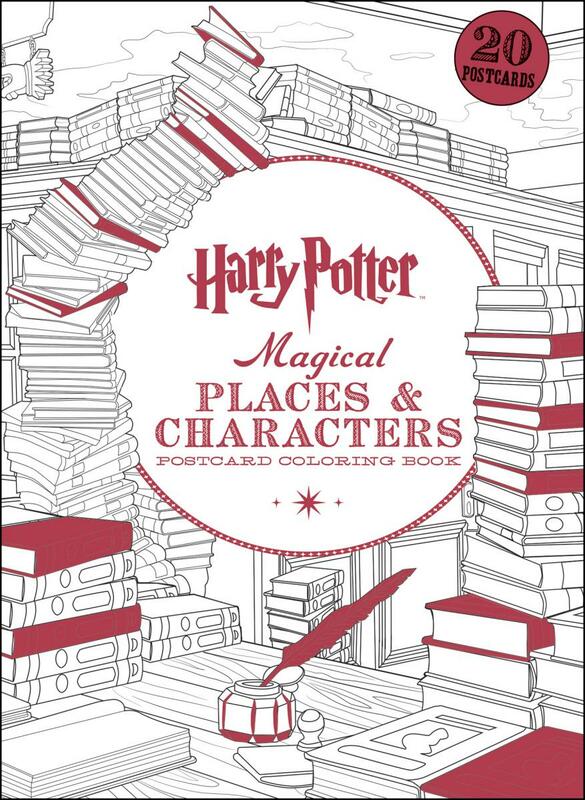 From the enchanted ceiling of the Great Hall at Hogwarts to the garish tones of the Dursley’s living room, this deluxe coloring book is filled with intricate images that bring fan-favorite wizarding locales to life. From the heraldry of the four Hogwarts houses to the extravagant wares of Weasleys’ Wizard Wheezes, the world of Harry Potter overflows with radiant color. 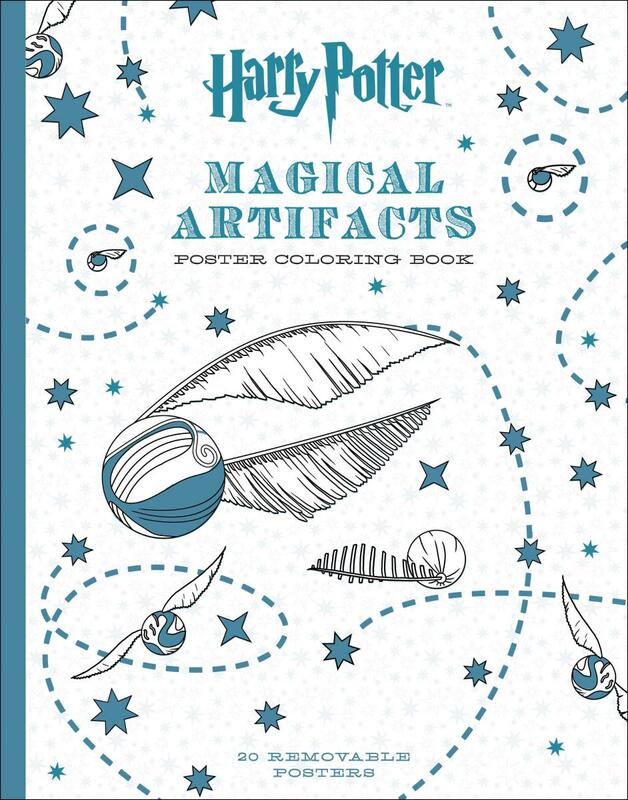 Featuring artwork from the bestselling Harry Potter Coloring Book, these twenty postcards are filled with intricate illustrations and elaborate designs used in the making of the HARRY POTTER™ films, inviting you to imbue the Wizarding World with color in your own explorations of Hogwarts castle, the Forbidden Forest, and much more. From the speedy Golden Snitch to Hermione's mysterious bottomless bag, the world of Harry Potter™ is full of enchanting and beautiful artifacts. This special poster collection features twenty stunning, one-sided prints that are perfect for colouring. Each detailed illustration is printed on high-quality card stock and can be easily removed for displaying. TM/® SCHOLASTIC. Art by Jim Lay © 2015 Bloomsbury Publishing Plc. All Rights Reserved. Copyright © 2016 Warner Bros. Entertainment Inc.
HARRY POTTER and FANTASTIC BEASTS AND WHERE TO FIND THEM characters, names and related Indicia are © & ™ Warner Bros. Entertainment Inc.